OC Global has been one of the world’s leading consultants in this sector, having completed more than 100 major port development projects in 50 countries in Asia, Africa, Europe, Oceania, and Latin America. Whether it is creating a modern deepwater port in Vietnam or expanding a coal terminal in Bulgaria, we have the experts who can offer the best solutions. We provide comprehensive engineering services required for pre-investment studies, design, simulation analysis, tender assistance, and construction management services in the development of all types of ports, fishing ports, and coastal / marine related facilities. 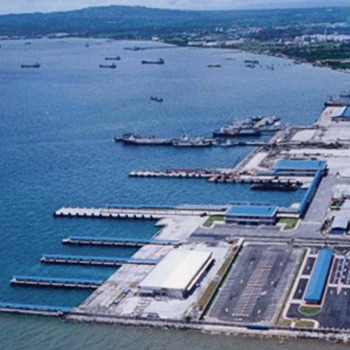 We are involved from the small, regional scale to large, international projects, such as the Laem Chabang International Container Terminal in Thailand completed in the 1980 to 1990s. In response to the trend of port development by private investors, we provide planning services for effective logistics systems of port users and consulting services for port operation and management. We also assist in the selection of terminal service providers and in capacity building of port operations and management. We provide comprehensive transportation and logistics consulting services by integrating all OC Global sectors, including ports, roads and highways, airports, and railways through coordination among relevant departments.